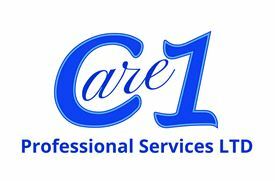 Care1 Professional Services LTD is one of the UK's leading nursing and health care agency. We work with a wide spectrum of clients including the NHS, private hospitals, care homes and domestic care. There has never been a better time to work with us, as we currently have opportunities across the UK for Registered Nurses (RGN/RMN/RNLD), Scrubs, ODPs, HDU, ITU, Health Care Assistants, Support Workers, Domestic staff and Social Workers. We work hard to put our staff and service users first, ensuring that the best level of care is available 24 hours a day whilst meeting our clients’ varied needs and preferences across the diverse settings. There are no jobs with Care1 Professional Services LTD at the moment. Sign up to email alerts below to get notified when new jobs are added. Get the latest jobs from Care1 Professional Services LTD sent direct to your inbox!